Symptomatic ventral herniation is a common clinical presentation. The treatment, whether elective or as an emergency, can be difficult and a variety of surgical repairs are utilised. Intraperitoneal onlay mesh (IPOM) involves the placement of a reinforcing prosthesis, usually supported by primary closure of the defect. Intra-abdominal adhesions have been highlighted as a potential complication in utilising this form of mesh placement. Several methods of laparoscopic mesh placement outside of the peritoneal cavity are gaining prominence as potential alternatives to IPOM. This study reviews our experience with IPOM in the repair of ventral hernia by a single surgical team. A prospectively maintained electronic database of all laparoscopic ventral hernia repair (LVHR) performed within the study period was analysed and reported. Follow-up questionnaires were sent to patients to follow long-term outcomes. One hundred eight patients underwent LVHR over a 7-year period. Demographics demonstrated an obese patient group (BMI 30.89 ± 4.9 kg/m2), with a variety of hernia sizes and morphologies. Hernia recurrence was found in two patients (1.8%). Twenty-nine (26.8%) patients suffered a complication, but only eight (7.4%) of those required intervention beyond pharmacotherapy. Two patients required mesh explantation. IPOM for the general surgeon is a relatively safe and effective method of repairing ventral hernias, with a low recurrence rate. 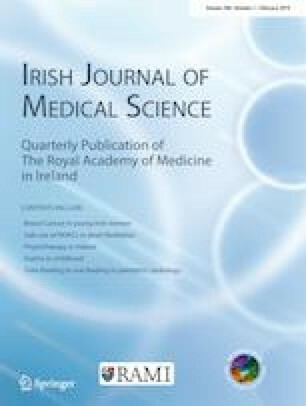 The authors thank Jennifer Mannion (BMBS, MRCS) for editing and the comments on the manuscript.